I figured I'd give Heretic a shot and glad I did. There wasn't much reviews on the flipper I could find so I will share some of my own thoughts, size comparison pics. The Wraith is well done. The caged bearings do a great job pushing this blade out. I can manipulate in many positions and its dam addictive. The auto model must function excellent with this system. 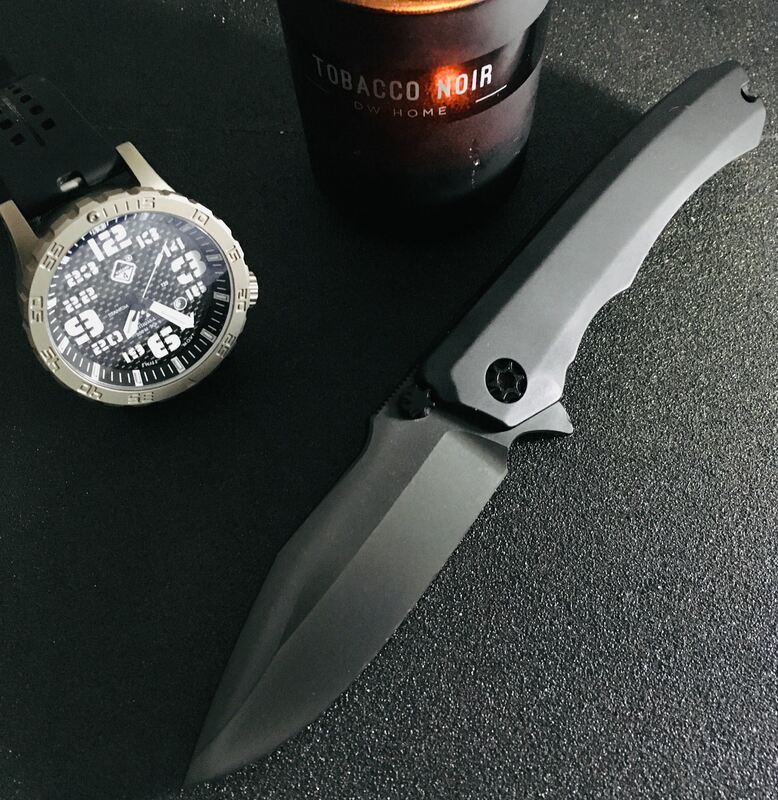 Its Razor sharp as expected and was a pleasantly surprised package once it was in hand. The handle is a happy medium. It does not feel fat, or too large for me. It is on the thicker side but its smooth handle is a plus for pocket carry. The Wraith's handle is tapered in at the sides but its about the same width as an LCC at its wider flats. The handle feels smaller though if that makes sense. It weighs 6.2 oz , the same as the LCC. The weight is a non issue for me but figured I'd mention it. The bonus is a slightly larger clip point. 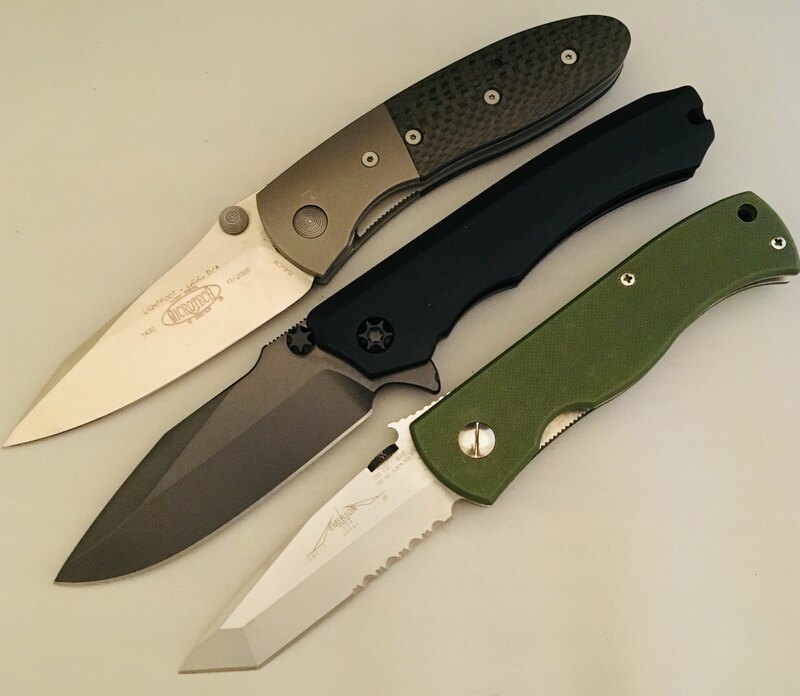 In the below pic, I tried to capture this LCC blade covering the Wraith's the best I could. The Wraith's blade is larger in width and length. I also like the lack of obnoxious branding on the blade. That can really kill it for me sometimes. As far as the black DLC coating; I have not purchased a black blade since Black T was the supposed rage. It would fall off when you looked at it. However, "Black Duty finish" on the 1911 has returned my faith as a solid coating. Presumably DLC is a similar process. 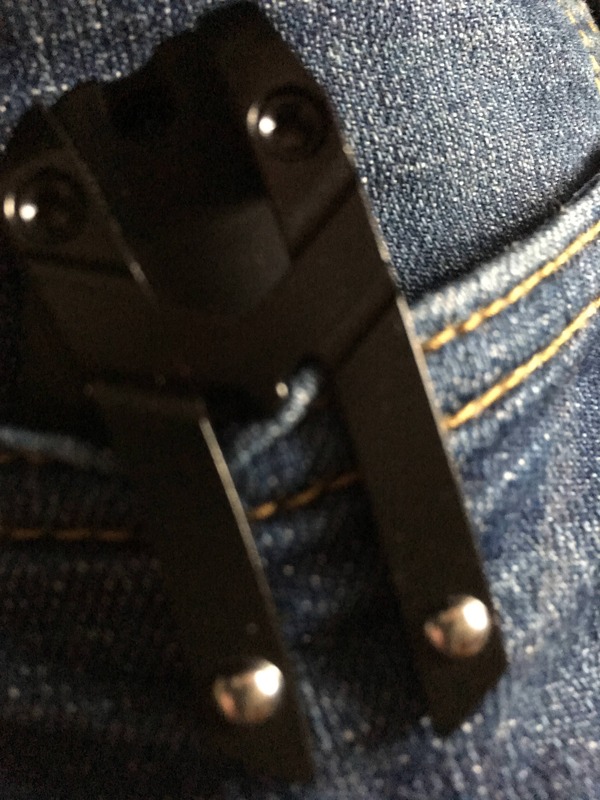 There is one Youtube review that raised concern about the pocket clip's mid point that could cause pocket wear. I was prepared to file off the bump if necessary but it does not appear to be an issue. 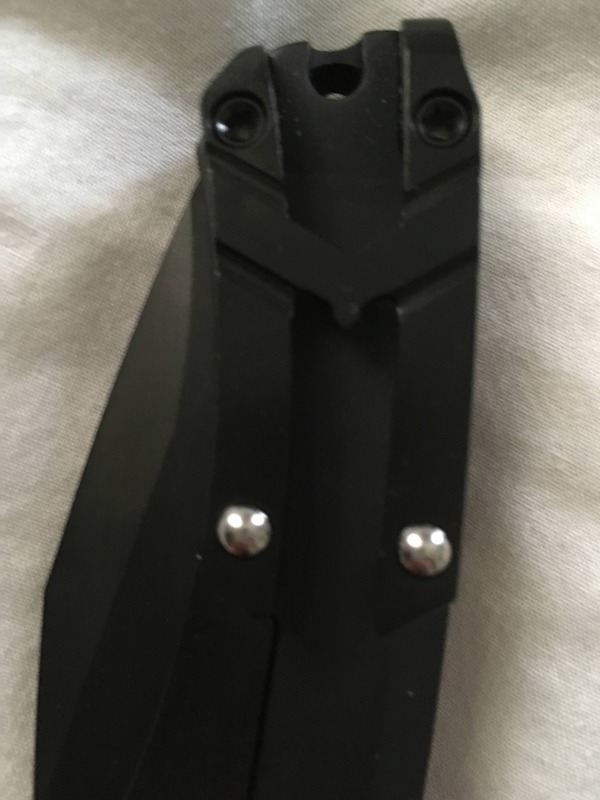 Does anyone have experience with this pocket clip? In the end I love my new flipper. I look forward to seeing Heretic's success. QMAXIMUS, bass_master, seandavid55 and 1 other person like this. I forgot to add them. The BB balls are bearings that roll. The pic on the pocket are thick jeans and its not easy pulling out on this particular pair. It holds looser on thinner material pockets. Comparing to most clips that are pressure type clip where the clip bends out to adjusts around the material. The clip is solid and the bearings are doing the work with x amount of material with the pocket. 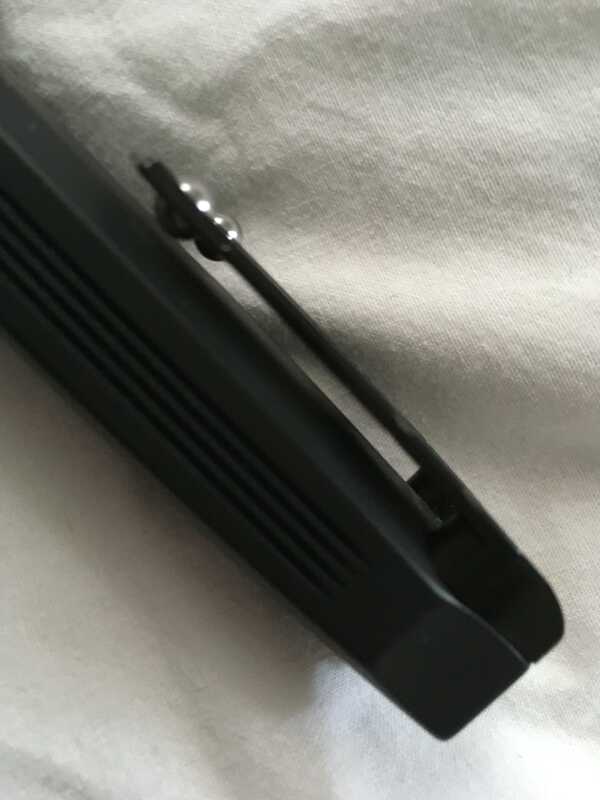 You can see the bump on the H clip that makes it looks like an M. I will file it off if needed, jury is still out. I don't see how it could be an issue with thinner materials.